The Cypriot maritime registry is today one of the largest in the EU and the 10th largest worldwide. Moreover, Cyprus is the Third Largest Ship Management centre in the European Union. 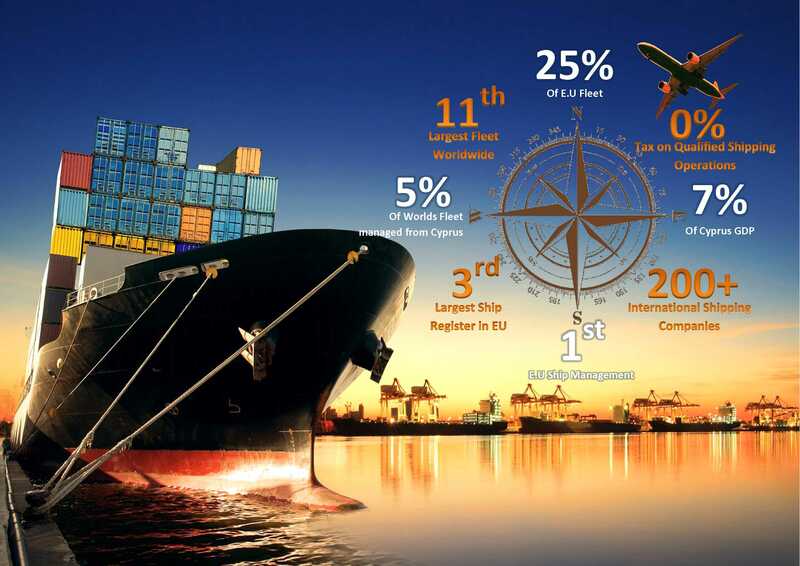 Cyprus is considered one of the top global hubs for ship owning and Ship Management Services. The country’s maritime capital, Limassol, is home to some of the world’s most influential names in shipping. The origins of the modern Cyprus Shipping Industry started in 1963, when the Cyprus Register of Ships was set up. In the early 1970s, the first of a series of German shipowners disillusioned by the Shipping operational and tax regime in their own country decided to set up in Limassol instead. Merchant shipping has long been of great importance to the island of Cyprus. Cyprus legislation provides ship managers and owners with a more tax-efficient business environment. Cyprus offers complete Corporation tax exemption of all profits and dividends at all levels of Distribution arising from qualifying shipping operations. This tax relief was introduced in 1963 for 10 years and has been extended a number of times. A tax of the tonnage weight is imposed since 2010. Any Non Shipping Income is taxed by 12.5% Corporation tax which is the lowest in the European Union. The Cyprus flag is considered one of the highest quality EU flags available today, and ranks at the top of various Port State Control Agreement ‘white lists’ – including the Paris and Tokyo MOUs.